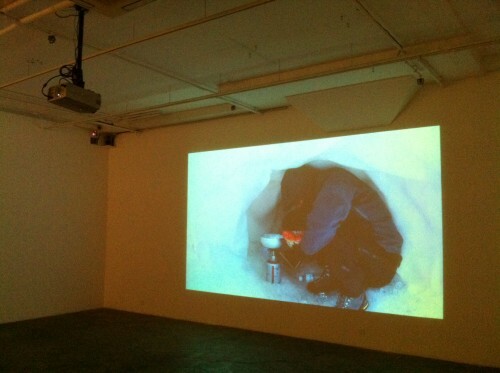 Tsui Kuang-Yu’s Arctic Adventure: The whole video was impressive, brainy and entertaining. Definitely worth seeing. Apologies for the typo my tweet for Tsui — auto correct plus a dark room does things to my eyes. Lee Kit’s Watching Soap (I can’t recall the day I last heard from you): Whimsical, quietly ironic works in video, textile and paint. 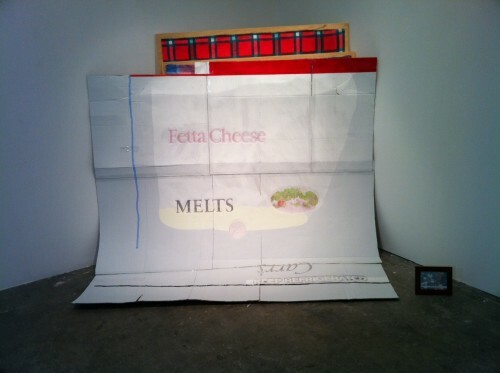 My favorite piece is pictured above, which, as far as I can tell, caricatures a scene from a European picnic photo (pictured in photo frame on bottom right). For more information about the exhibit, see here. Two more days left!